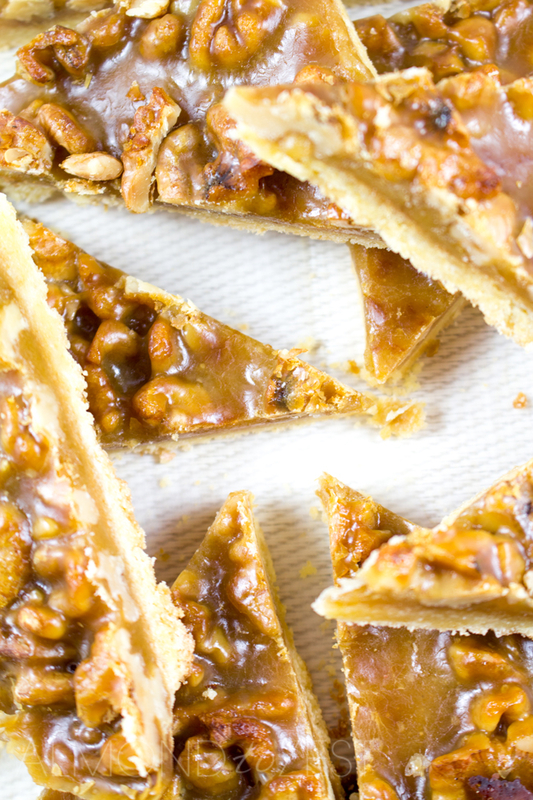 You are going to love this soft, crumbly slice that is topped with crunchy walnuts and chewy caramel. This slice is pretty amazing if I do say so myself. 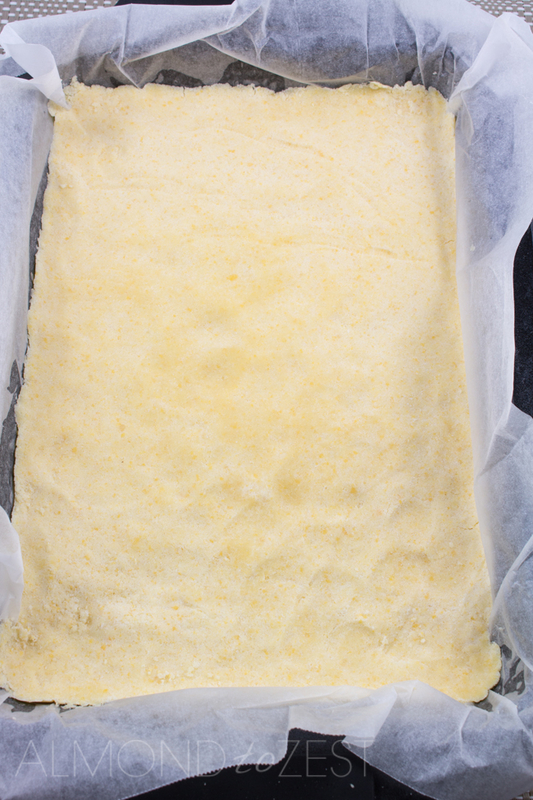 It has an unbelievably soft, crumbly base that you are going to find irresistible. It is so packed with buttery goodness that it basically just melts in your mouth. The texture of the base is the complete opposite to the frosting. 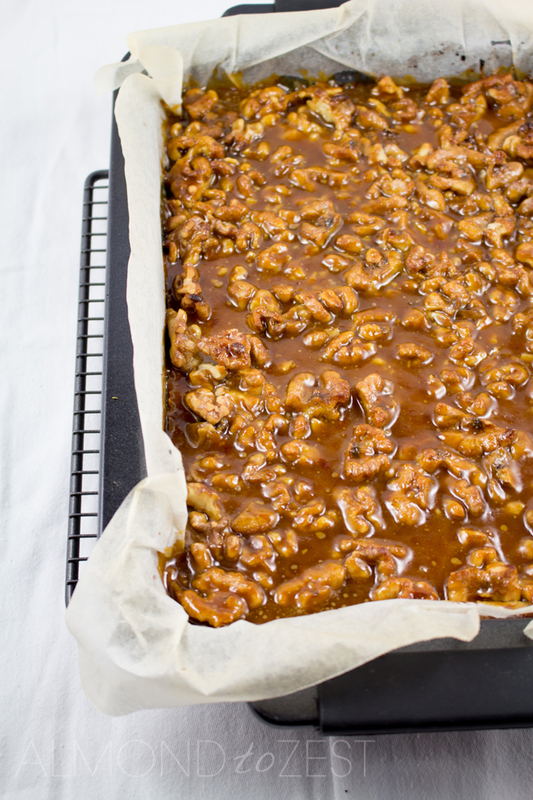 The frosting is made of perfectly heated sugar that has turned into a toffee coloured syrup of sticky caramel. This chewy caramel frosting is poured on thick over the base whilst still hot, causing the frosting to basically melt itself into the base of the slice. 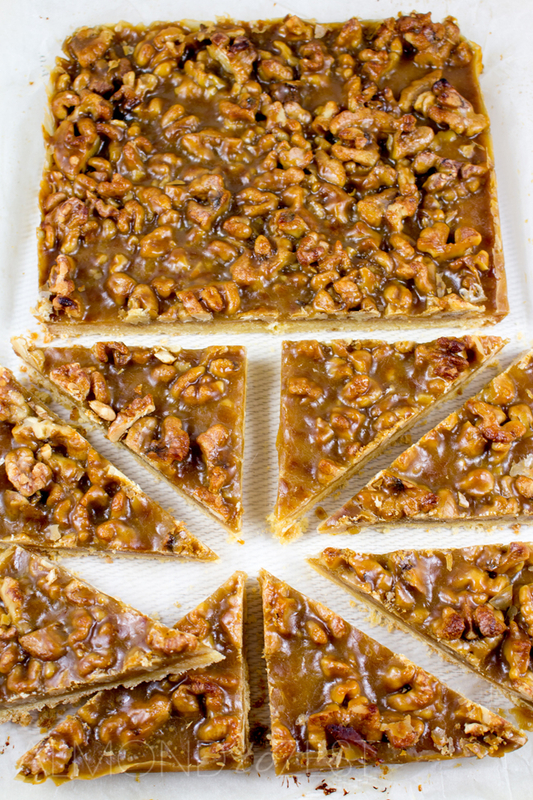 It also helps to keep the walnuts in place that have been scattered over the base of the slice. 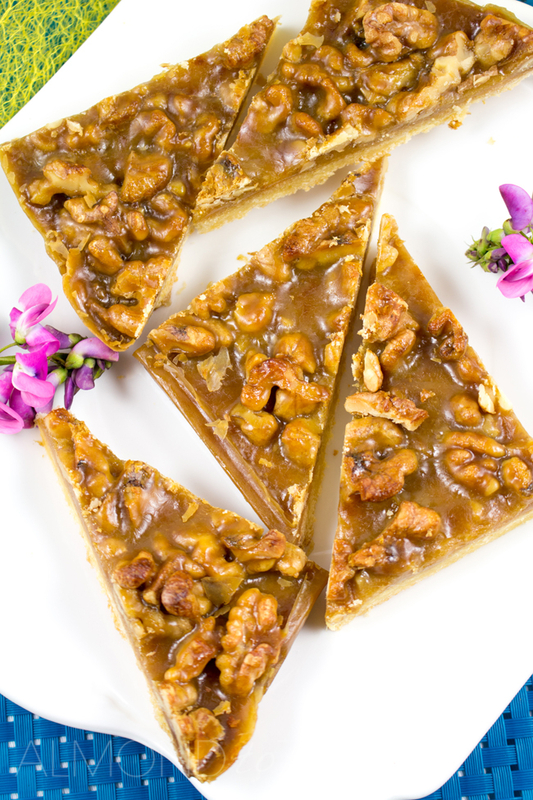 These walnuts add an earthy flavor that cuts through the sweetness of the caramel. They also provide a sensational crunch factor. This slice will keep for up to a week when kept in an airtight container in a dry cool place. Heat oven to 350 (180C) and line a 11” x 7” baking pan with parchment paper. 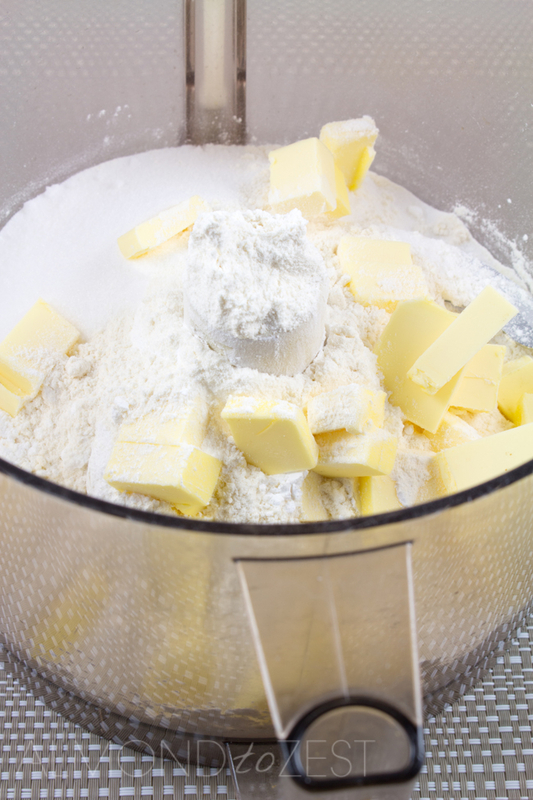 Mix the flour, cornflour, baking powder, sugar and butter in a food processor for about three minutes. Add egg yolk and vanilla essence and process for another couple of minutes. The mixture should resemble fine breadcrumbs. Press this mixture firmly into the baking pan (you may think due to the consistency of this mix that it isn’t going to work out, but trust me, it will!). Bake for 12 minutes. In the meantime prepare the topping by melting the butter, sugar and golden syrup in a saucepan. Once melted together simmer for 1 minute. When the shortcake has been in the oven for the 12 minutes, remove and pour half the topping mixture over it. 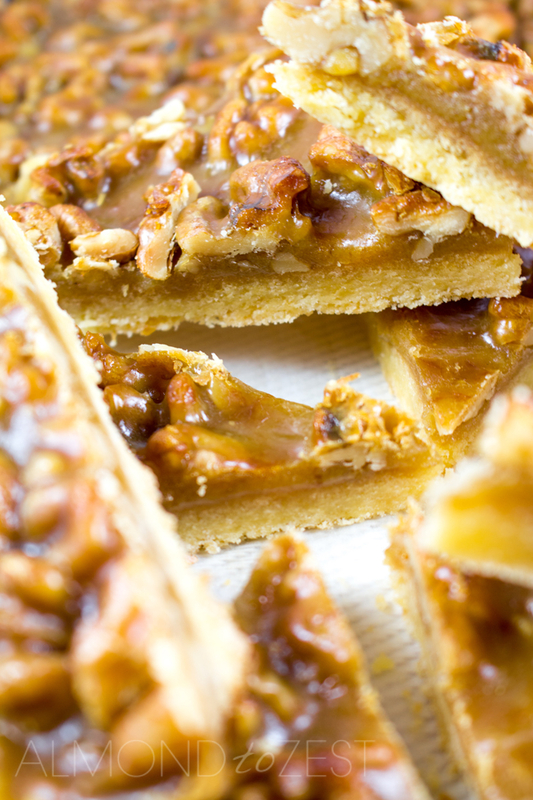 Sprinkle with the chopped walnuts, then cover with the remaining topping mixture. Put back in the oven for 10 minutes (Keep an eve on the walnuts. If they start to colour up too much drop the oven temperature). Allow the slice to cool completely in the pan before cutting up. 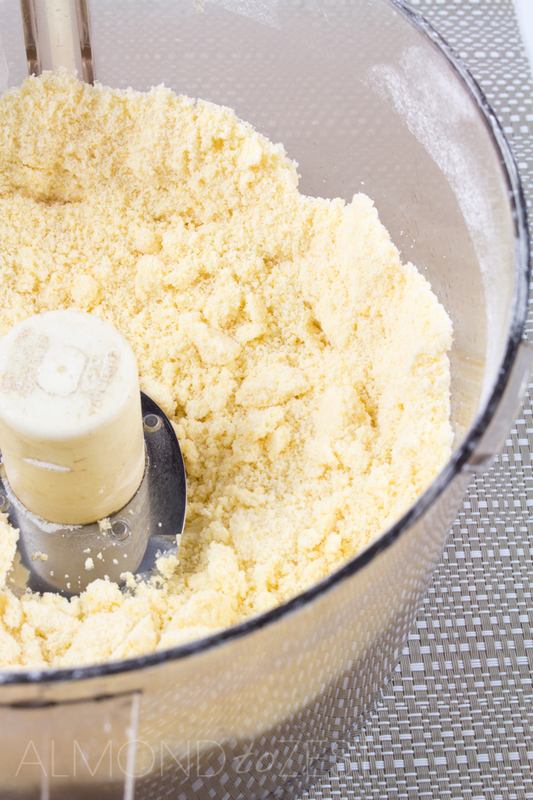 Do you mean cornflour or cornmeal for this recipe? Thanks. Hi Barbara, I use cornflour for this recipe, thanks.